Richard Faeth said Tuesday night's crash was the fifth time a vehicle has crashed onto the property on Fairbanks Road. FARMINGTON — Richard Faeth, 66, sat watching the evening news in his living room Tuesday when he heard the distinctive swishing of a truck’s tires leaving the road. Moments later a tractor-trailer slammed into his home, destroying his porch and punching a large hole in his wall. 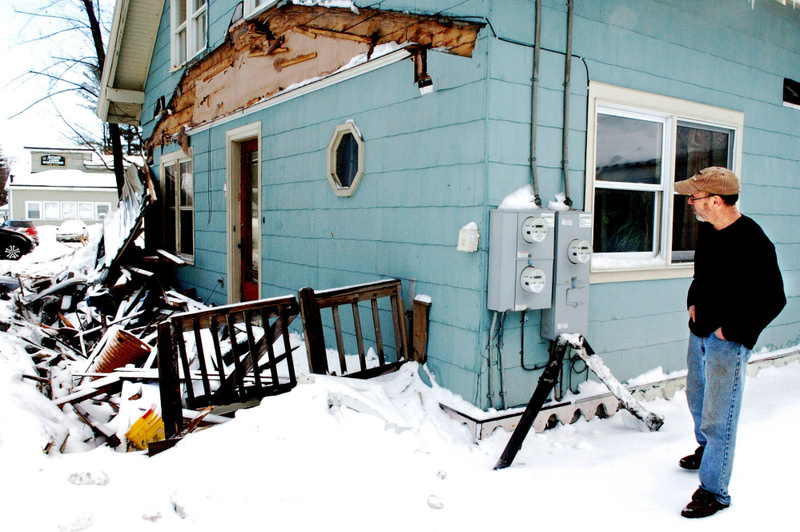 By Faeth’s reckoning, Tuesday’s crash marks the fifth time in the 15 years he’s owned the house on Fairbanks Road when a vehicle has careened off the road and onto his property. This was the first time someone hit the house itself, and Faeth says he was just 10 feet from where the truck came to a stop. “This is something that has got to change, because someone is going to get killed.” Faeth said. 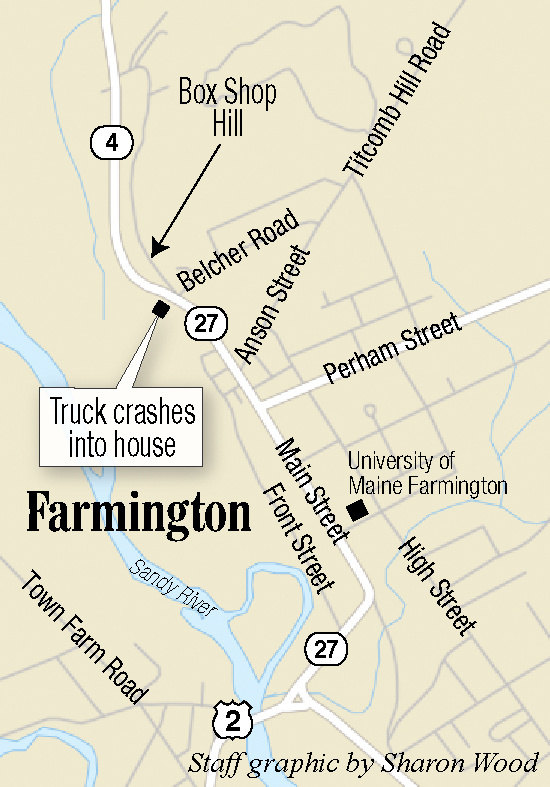 Though Faeth and his tenant were not injured in the crash, Farmington police said a passenger in the truck, Alfredo Delgado Gonzales, 23, of Miami, was taken to Franklin Memorial Hospital in Farmington in critical condition after being found unresponsive at the scene. The truck’s driver, Jimmy Robert Jimenez-Rojas, 27, also of Miami, was treated for cuts to his face and forearm, according to Farmington police Sgt. Michael Adcock. Police said the truck, which was carrying Poland Spring bottled water from the company’s Kingfield bottling plant, went out of control after the driver failed to slow in icy conditions and hit a curve in the road. Part of Route 4 in Farmington was closed after the crash, which happened around 6:45 p.m.
Deputy Chief Shane Cote said speed, poor weather and driver fatigue all had factored into previous crashes on Faeth’s property. Although Fairbanks Road transitions from a 45 mph zone to 25 mph as vehicles approach downtown Farmington, many drivers fail to slow down. Farmington police were informed Wednesday that speed limit signs on Fairbanks Road were missing, Cote said, and they hoped to have the signs up again by the end of the week. Cote said his officers spend a lot of time on enforcement in the area, but it does not deter all speeders. 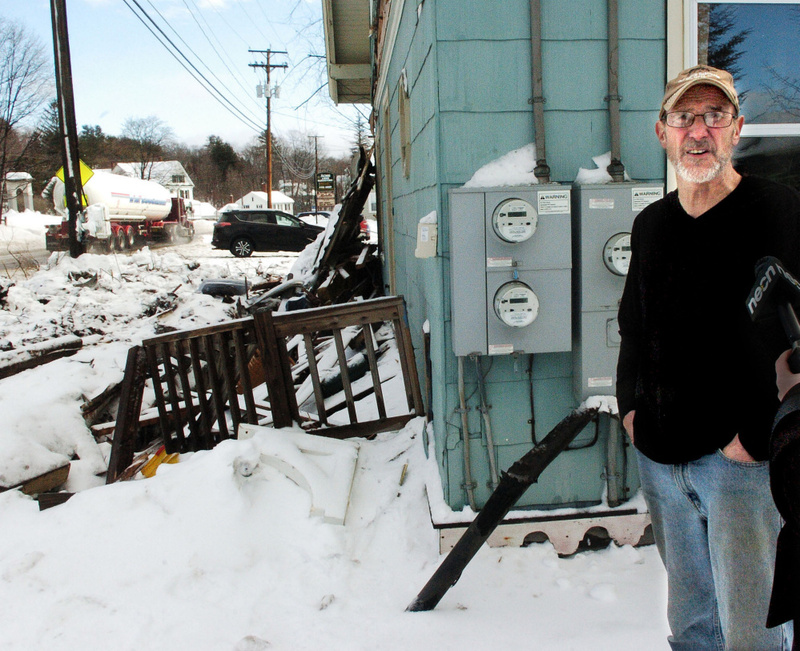 Farmington Town Manager Richard Davis said he contacted the Maine Department of Transportation for help with additional speed warnings for drivers entering the town, but he expressed frustration over the lack of individual driver responsibility. State traffic engineer Steve Landry said Department of Transportation has received Davis’ request and is planning to inspect Faeth’s intersection. Landry said crash data show that Fairbanks Road does not actually meet the state’s definition of a high-crash area, which requires eight crashes in a three-year period, a threshold 500 to 600 intersections and another 500 to 600 sections of road in Maine do meet. That means it may be difficult for traffic engineers to identify patterns of driver behavior contributing to Faeth’s troubles. Faeth thinks the town could prevent the most dangerous crashes by detouring large trucks onto another, less traveled road. Two of the previous crashes on his property involved tractor-trailers, Faeth said. According to Davis, when Poland Spring first opened its plant in Kingfield, the company was cooperative with the town’s requests not to send trucks through downtown Farmington. In recent years, however, he said that agreement seems to have fallen by the wayside. “We would really like to see those trucks not go through the downtown. 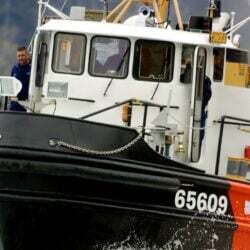 We can’t force them to do that,” Davis said. Asked if he planned to call Poland Spring after Tuesday’s crash, Davis said he was considering it. In a statement released Wednesday, Poland Spring parent company Nestlé Waters North America said the company is working to understand what caused Tuesday’s crash. “Our thoughts and prayers are with the two injured individuals and their families, as well as the homeowners affected by this accident. We are working quickly to gather facts from the third party trucking operator, Falcon Transportation, and understand what happened. We are cooperating with local law enforcement in their investigation,” the statement read. In the meantime, Faeth said he worries about recouping costs for repairing his home, where he also runs a pet grooming business. 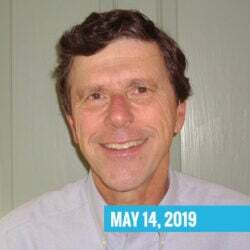 While he expressed gratitude for the community and the simpler way of life he found in Farmington, he said he regrets the move to Fairbanks Road.